Be true to yourself always. Don’t worry what other people will think. March to the beat of your own unique drum, and do the things that make you happy. When I became a children’s author, I was nervous to share the inspiration behind my first book, The Little Rose. I soon realized that through courageously sharing my experience of being bullied, and using that situation as a way to reach children who may be in similar situations, I’m able to help people transform their lives. My passion for empowering kids far outweighed the fear I felt about being vulnerable and open. Magical things happen when you’re following your passions, and the things that you really love in life. Always seek to be around people who amplify your energy. After interacting with them, you feel uplifted and excited about life. Look for this reaction when considering friends, coaches, business partners, mentors, clients, Mastermind Group members, etc. I love being around people who are “in it to win it” in life. My favorite people have a special blend of confidence and vulnerability, work ethic and spirituality, business savvy and creativity, healthy boundaries and compassion, as well as peacefulness and a desire for fun, adventure, and mischief. They don’t wait for things to happen in life, they go after what they want with style, integrity, and zest. They do what it takes to bring their dreams to life, even when it’s inconvenient. It’s amazing to behold. Having people like this in your life will inspire you every day to be braver, take more risks, live more authentically, really go after your dreams, and to become the best version of yourself. Dream the biggest dream you can, and then make it even bigger. Visualize the most amazing life you can imagine … then multiply it by 10! It should be so enormous that it simultaneously scares and excites you, inspiring you to really go for it. When I wrote The Little Rose, I knew in my heart that I wanted my book to be a best-seller. It wasn’t enough for me to just publish the book, I really wanted its empowering message to reach children worldwide. Early on, when I would share my dream of my first book becoming a best-seller, I was sometimes quickly discouraged by well-meaning “experts” who didn’t want me to be disappointed. I chose to believe that their limitations would not limit me, and I continued to dream my big, authentic, audacious dream. Two weeks after my book debuted on Amazon, it became not only a best-seller, but a #1 best-seller! Moreover, it stayed at #1 for over 60 weeks. Don’t play small in life; go for what you really want and deserve. Let go of anyone, anything, and any opportunity/event/activity/obligation, etc. that no longer serves you or fits into your vision for your ultimate life. Anything that drains your energy must go. Many times in the past I agreed to do things that didn’t feel exciting, fun, or fulfilling to me, mostly because I wanted the person asking me to like me and think I was a good person. I learned that saying “yes” to everyone else means saying “no” to myself and my own dreams. Jack Canfield, the co-creator of the Chicken Soup for the Soul series and best-selling author of The Success Principles, teaches that if it’s not a “Hell Yes,” it’s a “Hell No,” and I live by this philosophy. It makes life so much easier when you can give a calm and confident “no, thank you” to anything that doesn’t sing to your soul. It creates space for what you really want to flow into your life. Amazing things will come when you create the space for them in your home, your business, your schedule, and your life. When in doubt, throw it out. We are all equipped with an inner guidance system. Practice getting in touch with your inner self and listen for the whispers of your soul. Sitting in silence and enjoying nature is a great way to deepen your connection with your inner voice. Practicing meditation has transformed my life. In the past, I was often overwhelmed with my thoughts to the point where I would actually get headaches from thinking so much. I started meditating four years ago, and I experience an inner peace that I couldn’t have imagined before. Meditation is a wonderful gift you give yourself to connect with your soul. My intuition has become so much stronger as a result. Many wonderful ideas come when you take the time to listen. When you receive an intuitive nudge, take inspired action as soon as possible and watch the magic that unfolds before you. Sometimes it can feel like we’re bombarded by negativity. Break the chain and refuse to be a part of it. Discontinue blaming, complaining, gossiping, and rationalizing. It’s a waste of your precious energy. Associate with people, places, things, and events that make you feel good, and fill you with hope and joy. Champion the people who are making a positive difference in the world. I love supporting and sharing stories about my friends who are pursuing their dreams and transforming lives. It inspires me to keep growing and taking risks to become the best I can become. Amplifying the positive will enhance your life, and the lives of everyone around you. It‘s normal to feel nervous or scared when trying something new. If you feel pulled to pursue something, honor that feeling and continue taking action toward your goal despite your fears and doubts. You’ll never know until you try. Think about the person you’re becoming, and make the decision from that future perspective. For example, if your dream is to become an author and you’re offered an opportunity to speak about your experiences, the current version of you might be scared and want to turn down the opportunity. There are many seemingly legitimate excuses, but none of them will get you where you ultimately want to go. By thinking about it from the perspective of your future self as an author, you’ll recognize it as an amazing chance to spread your message, build your fan base, and transform lives. Then, the decision becomes easier, and you’re stretching your comfort zone to step into the life you’re truly meant to live. When you commit to living the life of your dreams, you’ll feel good knowing that you’re working toward a challenge that’s worthy of your efforts. Your life will overflow with passion, magic, and more aliveness than you can imagine. Above all, do what makes you happy, and enjoy this exciting journey! Sheri Fink is an inspirational speaker, a #1 best-selling author, a mermaid who believes in magic, and the president of Whimsical World. Whimsical World is an empowering brand created by #1 best-selling authors and inspirational speakers, Sheri Fink and Derek Taylor Kent. Whimsical World’s mission is to inspire, delight, and educate children of all ages while planting seeds of self-esteem and high achievement. Sheri loves to write (ten books so far!) and travels the world inspiring audiences of all ages to believe in themselves, dream bigger dreams, and take action to live their best lives. 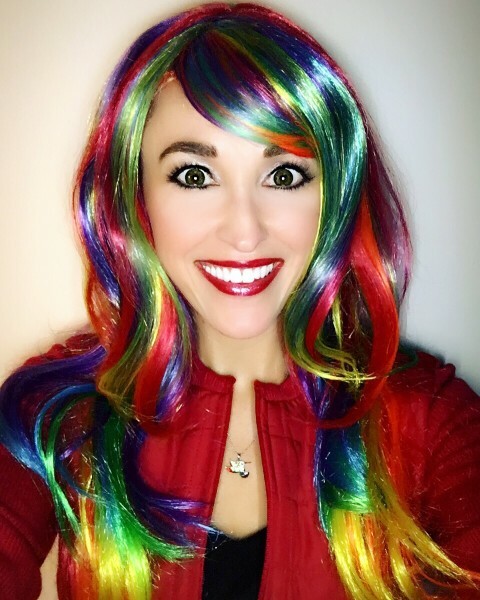 She creates books, products, and experiences that empower kids. All of her children’s books were #1 best-sellers, including The Little Rose which was a #1 Amazon Best-seller for over 60 weeks, became the #1 Top-Rated Children’s eBook on Amazon, and was adapted into a stage play. CBS Los Angeles selected her as one of the top 3 authors in her local area, a distinction she shares with Dean Koontz. 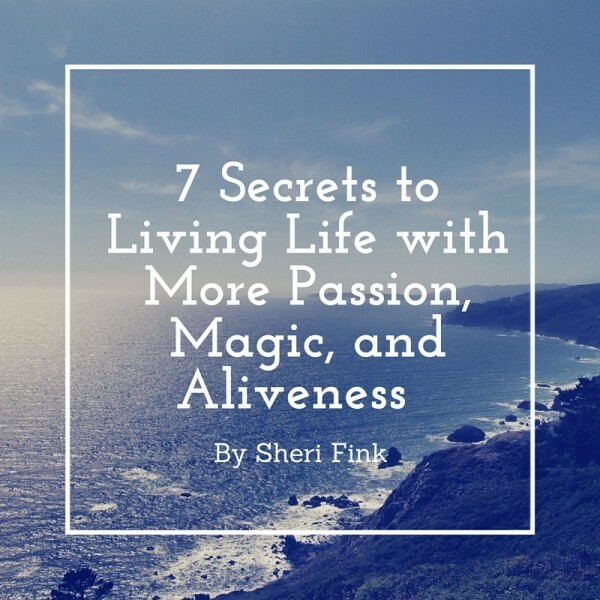 Sheri’s books have been honored with multiple awards, including 3 gold medals in the Readers Favorite International Book Awards. She is a recipient of the prestigious Gold Mom’s Choice Award honoring the best in family friendly entertainment. She was selected as an inspirational beauty by supermodel Cindy Crawford’s “Beauties Give Back” campaign.